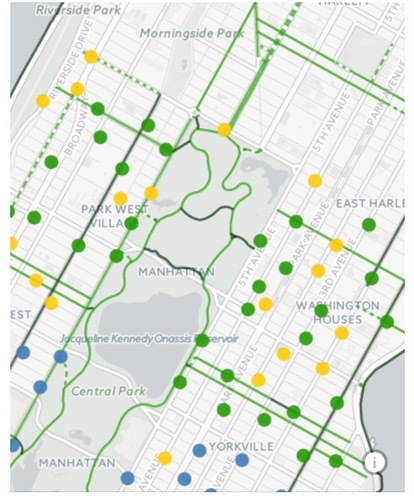 New York City | HarlemGal Inc.
Harlem, we need to take part in another election. But this time this one is much more fun and not as depressing. Wé McDonald is a former student of Harlem School of the Arts. She studied voice, theatre and dance at the St. Nicholas Avenue institution for 5 years as a member of the Dorothy Maynor Singers and the HSA Theatre Alliance. Now she is one of the remaining 11 finalists on NBC’s The Voice. TONIGHT, November 21 Wé McDonald will be competing live! Every vote counts and she needs our help to win! Harlem, let’s get out the vote! Tune in tonight on Channel 4! Check local listings. 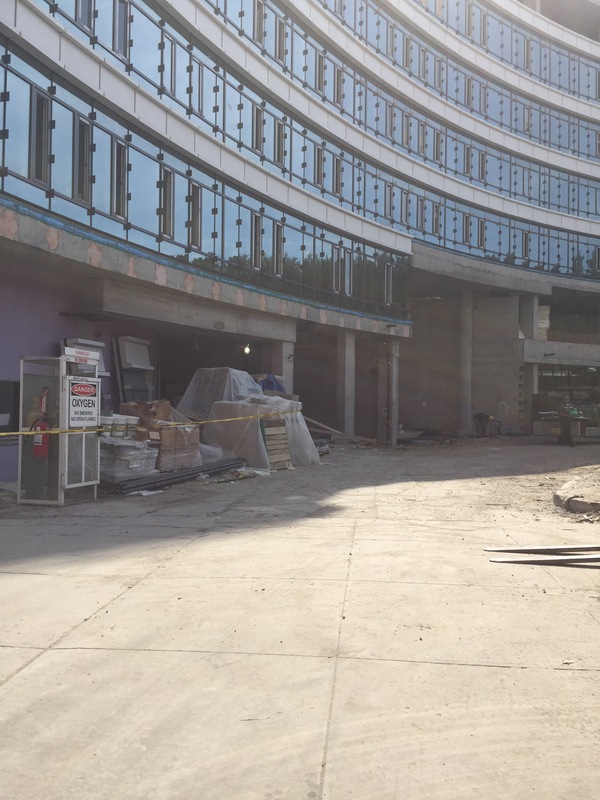 Is Trader Joe’s eyeing retail space at Circa Central Park in Harlem? 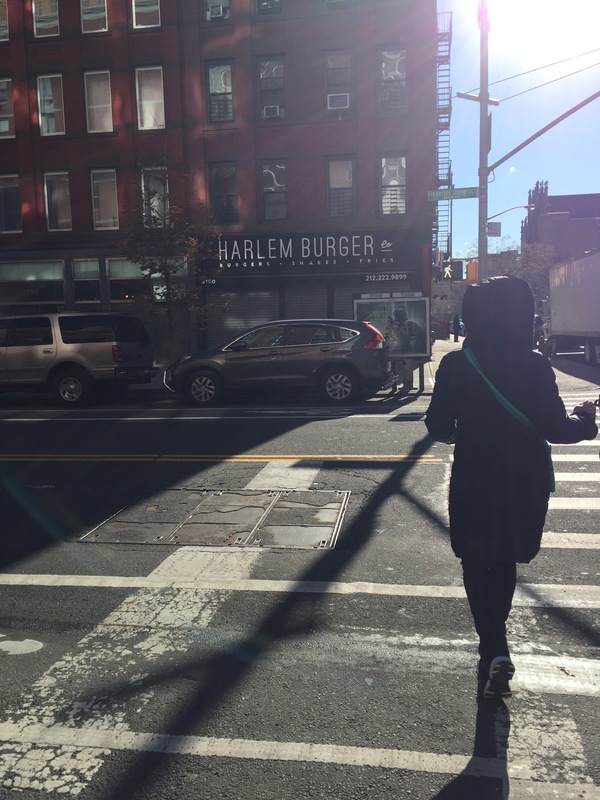 Rumor has it that the antithesis of Whole Foods, Trader Joe’s, is working hard to have a presence in Harlem, specifically central Harlem so that they can compete with that Texas-based grocery chain. 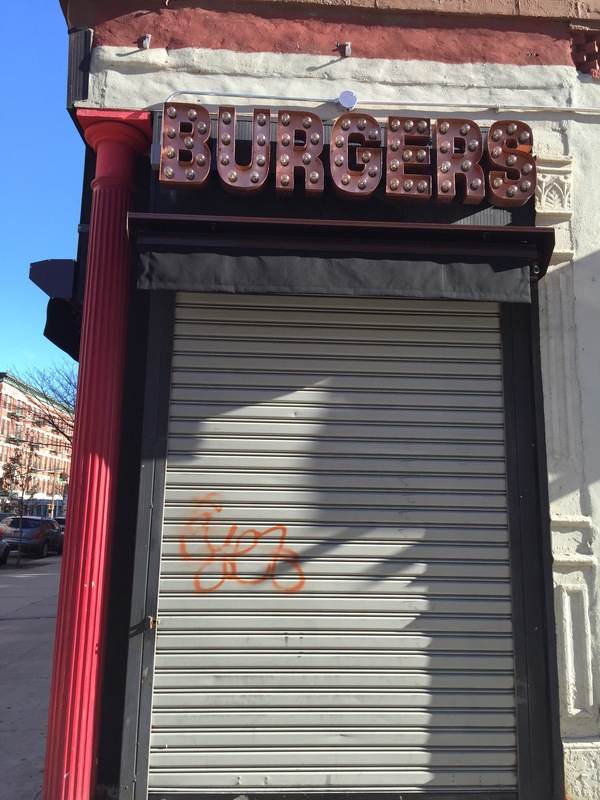 A real estate broker(s) has informed this blog that Trader Joe’s, the California-based food chain, is moving into the entire retail space offered at the swanky Circa Central Park building in Harlem! You know which building I’m talking about! 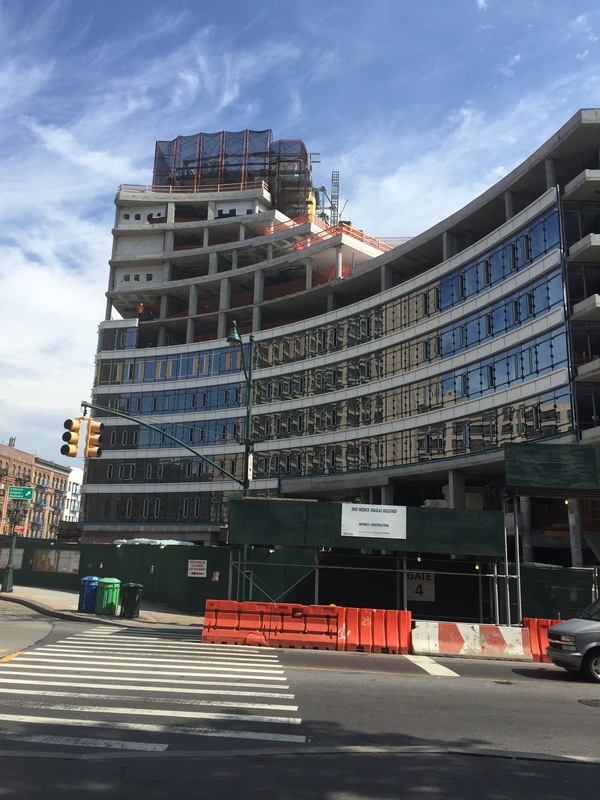 It’s the space of a former gas station and the one selling an apartment for more than $8million dollars at the corner of West 110th Street and Frederick Douglass Blvd! Yup, apparently the developers, which got Starbucks to move into their other building on Manhatten Avenue and 110th Street, are or close to sealing the deal with Trader Joe’s to move into Circa Central Park in Harlem. Hmm, there is another grocery store directly across from that new building. It’s called Central Market. Let’s see what happens! Stay tuned! 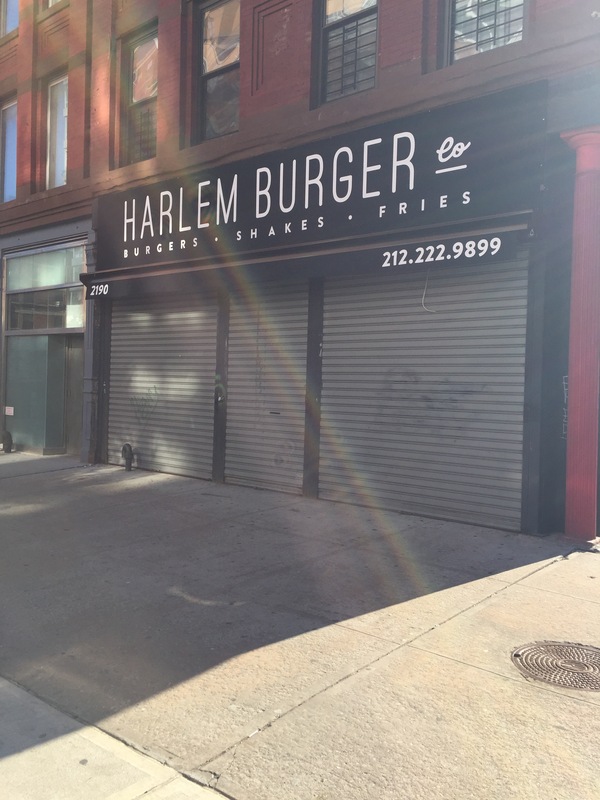 And of course, I’d love to hear what you think about Trader Joe’s moving into Harlem at this location? Digame (Talk to me)! 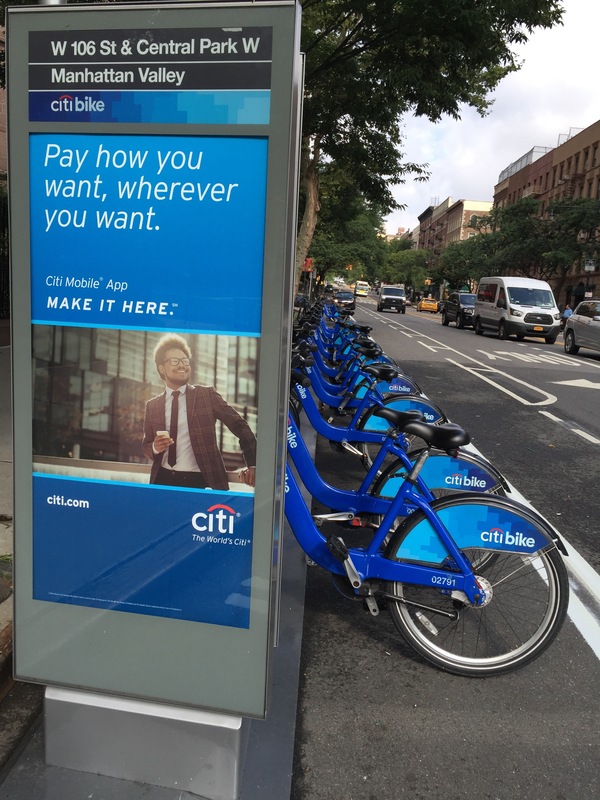 CitiBike is expand into Harlem and you have the opportunity to voice your opinion! 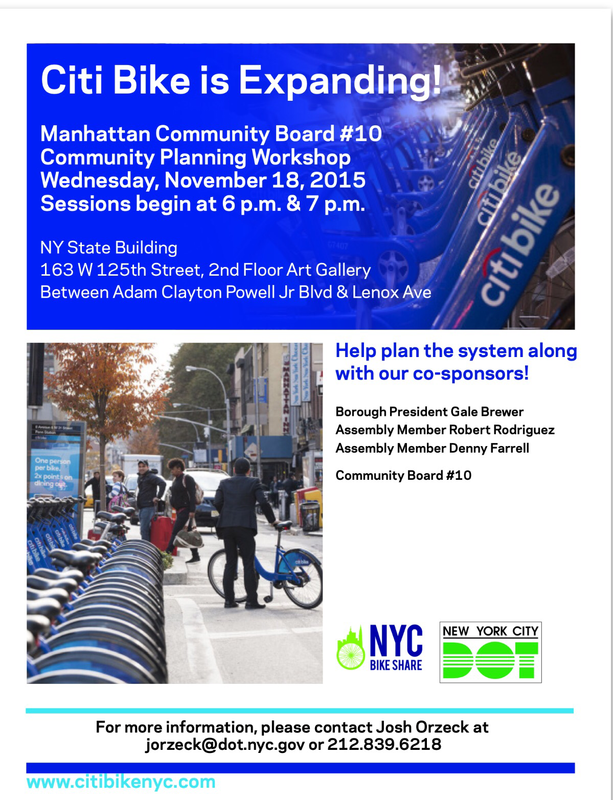 NYC Department of Transportation’s Bike Share Program has scheduled a Community Planning Workshop for Harlem CB10 on Wednesday, November 18th. Attached is a flyer for reference. Also, here is a link for community members that cannot attend, but can still voice their views!